This week in CEP 812 we were asked to create a survey to collect information from our colleagues about how technology is integrated into our community of practice as well as their interest in professional development. After receiving the responses to my survey I was able to analyze and come to conclusions about how my school can move forward in training teachers to incorporate technology into their classrooms as well as what types of technology we are strong on, and which types we are a bit weaker on. Click here to read an analysis of my findings and recommendations on moving forward as a school. 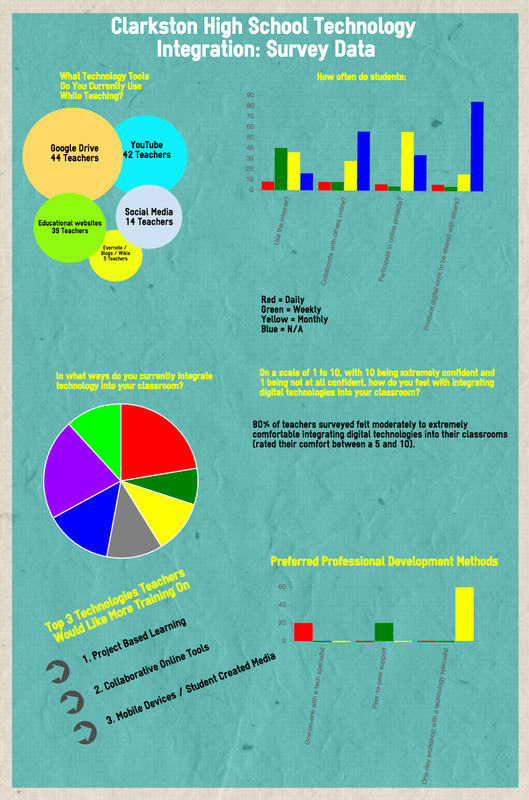 Check out the infographic below to further illustrate the data that I gathered.